Coburg has added considerable key position depth for 2017, with Williamstown’s Tyler Curtis the most recent to agree to terms. 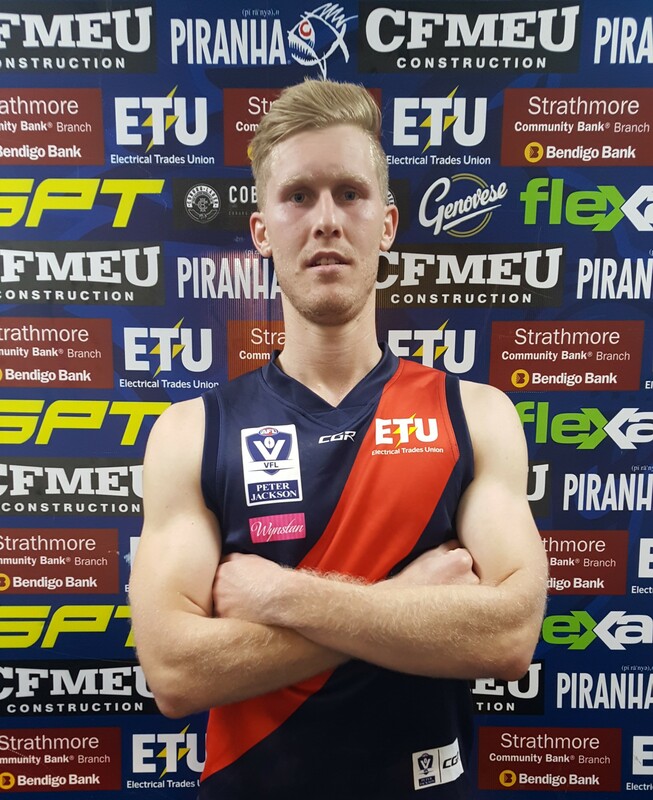 196cm Curtis joins the club having only managed 4 games in three seasons at Burbank Oval, often being the backup ruckman to the likes of Sean Tighe, Nick Meese and Ayce Cordy, in particular the latter two seasons. 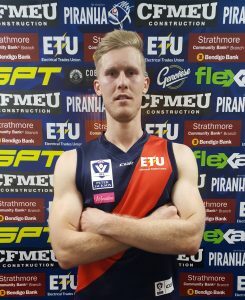 Curtis arrived in the VFL following four seasons with South Mildura at the end of 2013- where he managed 49 goals from 38 games since debuting in 2010. Curtis has been a standout at Development League footy in his time at the Seagulls. After forcing his way into the side late in 2014 and playing in a Premiership, he made further strides quickly the following season- making his senior debut in round three of the 2015 season. He would play another two matches, but would spend the majority of the year in the Development League. Aside from playing in another Premiership, he managed to finish runner-up in the Best & Fairest, highlighting his rapid improvement. Returning to the Seagulls for 2016, Curtis was determined to establish himself as a regular senior player in the wake of a few departures, but would have to wait until round six to get his chance. Against the Northern Blues, he would be one of the better performers in a big win with 20 possessions, five marks, five tackles and a goal, however it still wasn’t enough to keep his spot in the side, and would spent the rest of the year playing Development League. Seeking greener pastures following three seasons out west, Curtis is more than determined to prove his worth in the VFL, and will be an important addition to the club’s forward line especially with Lech Featherstone departing. Curtis will reunite with 2015 Premiership Teammate Matt Merlo, and can’t wait for the new beginning to happen come seasons start. “It’s definitely a new challenge, they’ve got a young and exciting list and I can’t wait to be a part of it playing alongside them,” said Curtis. List & Recruiting Manager Sebastian Spagnuolo was thrilled to have secured the signature of the athletic big man, which will add another key position option up forward. “We’re really excited that Tyler has decided to join our Football Club for 2017,” Spagnuolo said. “He’s definitely one to watch in 2017,” Spagnuolo added. Stay tuned for another signing to be announced tomorrow night, as we are on the home stretch of finalizing our 2017 list. Eastern Football League young gun signs for 2017! A few more youngsters re commit for 2017!